What a great weekend at the Archangel Summit!! They describe themselves as “An annual gathering of mission-driven entrepreneurs, leaders, and professionals who want to do well by doing good. 100% of the proceeds will be gifted forward to The Archangel Fund, which is used to provide micro-loans and donations to entrepreneurs and charities making the world a better place.” A business conference with a conscience. Basically, it was a conference with speakers who help entrepreneurs and they have a social conscience. In my (Erwin) own small way, I try to do the same by giving back to the community (by the way, HamiltonBasketBrigade.com is in action again Oct 7th, delivery 300 Thanksgiving dinners to the poor). Keynote speakers include Daymond John, you know him from the TV Reality Show “Shark Tank,” and founder of the clothing brand FUBU (if you or your kids like hip hop, you know the brand); best selling author Simon Sinek, recording artist Akon, Danielle Laporte who Oprah is big fan of. Anyways, the Sony Centre was packed with 2,000 like minded folks, entrepreneurs who want to change the world for the better. After a summer of vacation, enjoying the family, letting my restrictive diet slip a bit… it’s summer, I see ice cream, I eat ice cream; same goes with burgers on a bun :). Archangel was the perfect ra ra event to get fired up again to close out 2017 on a high! 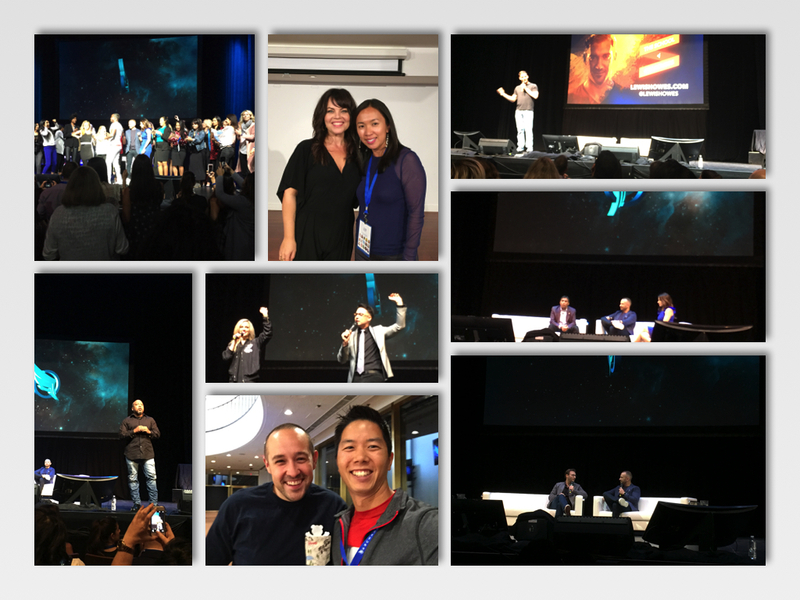 On our latest podcast episode, Charles Wah and I recount our takeaways from Archangel 2017 and if you enjoy these types of events, then you’ll want to have a listen. 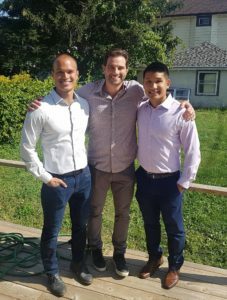 This week I’m excited to bring to you the return of Charles Wah, you might remember him from our land development interview six months ago and he’s fresh off the set of Scott McGilvray’s newest show to give you all an update on his land development projects and the new investments and building development projects he has on the go. We’ll take a sneak peak at the behind the scenes of HGTV’s biggest star, how Charles spends his off time, and we will share our thought’s and lessons from the phenomenal Archangel Summit. It was so good, we already purchased our VIP tickets for the Archangel Summit in September 2018. You want to know WHY this super successful and very young investor does what he does? Then have a listen…. Want to meet Charles and The Most Successful Investor I know?